Building a solid foundation through our investment management services. Our clients look to us to help them create a portfolio to build for their future and meet their individual goals by utilizing our investment management services. The strength of a successful financial structure begins with a solid foundation. This may include investing for a particular goal, retirement income stream, wealth transfer or a list of lifetime targets that need to be funded. Our investment philosophy is an essential building block used in creating investment portfolios for our clients. We look for investments with a solid track record. Whether we are seeking investment managers or individual companies, our investments are purchased with a goal of outperforming over entire business cycles and represent our investment themes. The SVA Financial Group team of investment professionals addresses the full range of our clients’ financial needs from retirement and estate planning to investment management and trust administration. Our investment process, which involves a reliable and repeatable disciplined approach, helps us create core portfolios for our clients. The implementation process has served us well as we seek to participate when markets rise, minimize loss when markets fall and outperform when markets are flat. Contact us for more information on performance history. We believe our unique combination of investment philosophy, talented and dedicated people, and our research and disciplined process drives performance for our clients over full business cycles. Our portfolio management consists of matching investments to objectives and balancing risk against performance. Portfolio management is all about strengths, weaknesses, opportunities and threats in the attempt to maximize returns at a comfortable risk tolerance level. SVA Financial Group professionals are dedicated to helping you plan and realize your financial goals. We help you develop a strategy for the portfolio management of your assets through your lifetime along with a plan for the continued care of those assets for future generations. Monitor your portfolio utilizing an easy-to-use interface exclusive to SVA Financial Group clients. Our investment philosophy is geared towards developing solid financial foundations with balanced portfolios. Our approach to investment management is designed to provide solid performance over the entire business cycle. Our clients rely on us to manage their assets through market fluctuations. We strive to outperform over the long term, through changing market conditions, by maintaining a strong discipline of balance, investment grounded on appropriate investable themes, diversification, and reasonable valuations - all supported by comprehensive research. 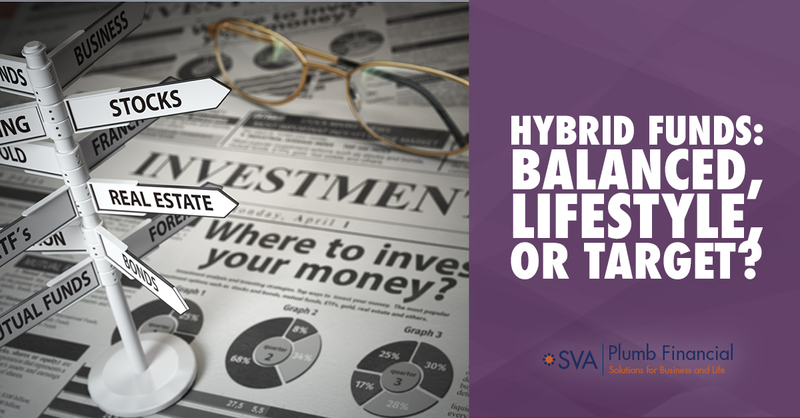 We believe a solid financial foundation begins with a well-balanced portfolio of core holdings. Based on client objectives, the core holdings will be comprised of selected mutual funds, individual securities, ETFs and/or index funds. Each portfolio is enhanced with complementary assets to diversify the portfolio risk. Our investment process starts with designing custom portfolios to meet individual needs. SVA Financial Group works through a logical investment process with our clients to develop and maintain investment portfolios. We work with each client to define goals and objectives as well as to determine the client’s comfort with various levels of volatility or value fluctuation. We then design a portfolio to fit that individual client’s parameters. Once the basic structure is set, we formalize it in an investment policy statement. The appropriate specific investments are then selected to create the portfolio. Our professionals continue to monitor the investments and meet with clients to determine whether changes are necessary or advisable. Creating an effective investment strategy takes a thorough understanding of your unique financial risk tolerances. In fact, identifying the amount of risk you can comfortably tolerate, through our risk assessment, is the first step in determining your investment strategy. SVA Financial Group professionals work with you to identify important factors needed to define your objectives. As part of our process, we seek to learn about your financial attitudes, values, motivations, preferences and experiences. Once we have clarified your requirements and goals, we work with you to create a portfolio designed to meet your objectives. To assist you in determining your individual risk tolerance, we recommend taking the FinaMetrica risk tolerance questionnaire. This highly personalized assessment takes fifteen minutes to complete and gives reliable in-depth insight. It allows you to gain a better understanding of financial risks to help you make informed decisions. By completing the questionnaire independently, you are prone to results uninfluenced by others. Contact us using the form below for access to the FinaMetrica tolerance questionnaire. We work with you to create a strategy that will serve as a guide in making investment decisions. Our mission is to help you reach your investment goals while simultaneously sheltering your portfolio from excessive risk. After carefully identifying an appropriate investment strategy to meet your needs and risk preferences, we create, maintain, and monitor your portfolio. Depending on your specific situation, this strategy may be expressed by investing in mutual funds, exchange-traded funds (ETFs), individual stocks, individual bonds or other investment vehicles. Many investors take a bottoms-up approach to investing, choosing only the investments they believe will earn the highest returns without regard to risk or how those investments will function as a unit. While this approach may be suitable for a speculator, it subjects most investors to unnecessary risk. One of the primary tools we use to reduce risk is diversification, which is implemented at multiple levels. We typically seek to diversify portfolios by position, industry, asset class, geography, market capitalization, and money manager, among other risk characteristics. We also seek to factor outside real estate holdings, business interests, stock options, company retirement plans and other assets into our decision-making process. Although diversification is not the only risk management technique we employ, it is one of the most efficient and cost-effective ways any investor can reduce risk without necessarily reducing returns. An investment policy statement (IPS) is a must-have for all investors. Creating an investment policy statement requires you to put your investment strategy in writing and to commit to a disciplined investment plan. After we review your risk assessment and evaluate your current asset allocation, we identify a risk objective that is most appropriate given your risk tolerance and goals. The investment policy statement provides a directive for us to implement your allocation based on your chosen risk objective. As part of your asset management plan, we strategize to lessen your potential tax exposure through asset allocation and selection. Then when you are ready to begin withdrawing money from your portfolio, we recommend the accounts to draw from first to avoid paying penalties and unnecessary taxes. Some portfolios are managed entirely with individual securities, while others may consist entirely of mutual funds. Often a mix is most appropriate. We monitor and rebalance our clients’ portfolios whenever it is warranted. Due to market movement, the percentage of different asset classes in your portfolio will change over time. If an asset class has appreciated, we take the opportunity (subject to tax considerations) to sell some of that asset class ("sell high") and buy another asset class that may have temporarily underperformed ("buy low"). Rebalancing is an exercise in good investment discipline. The goal is to enhance your returns and ensure your portfolio remains allocated consistent with your goals and objectives. We also monitor your investment returns to evaluate progress toward meeting your goals. A monthly or quarterly statement lets you know the value of your portfolio, along with an easy-to-read summary of your year-to-date investment activity and performance. We encourage you to come in for a thorough review of your portfolio’s performance at least once a year. Any time you have a question or concern, we invite you to contact your investment professional. Gain some insight and read one of our articles! Use our checklist to see how your current situation rates in key financial areas. Stocks provide the growth of nearly every portfolio, whether owned individually or through a fund. Stocks represent equity ownership of a company. Over a long-term investment horizon, historical returns of stocks have outperformed most other investments. There are two main types of stock: common and preferred. Common stock usually entitles the owner to vote at shareholder meetings and receive dividends. Preferred stock generally does not include voting rights, but has a higher claim on assets and earnings than the common shares. For example, owners of preferred stock receive dividends before common stock shareholders and have priority in the event a company goes bankrupt and is liquidated. Bonds provide the foundation to your investment portfolio and are commonly referred to as fixed-income securities. They are one of the three main asset classes, along with stocks and cash equivalents. A bond is a debt investment in which an investor lends money to a corporate or governmental entity. Investors can own bonds both individually or through an investment fund. The entity borrows the funds for a defined period of time at a fixed interest rate. Bonds are used by companies, municipalities, states, and federal governments around the world to finance a variety of projects and activities. Mutual funds and ETFs frequently play a role in portfolios of virtually any size. Instant diversification, liquidity, and the ability to access hard-to-reach segments of the market are among the most meaningful benefits of these vehicles. The sheer volume of mutual funds and ETFs available in today’s market can be intimidating to the average investor. However, this vast menu of options presents SVA Financial Group with tremendous opportunity and flexibility to better design a portfolio that meets your needs. An index fund is a type of mutual fund constructed to match or track the components of a market index such as the Standard & Poor's 500 Index (S&P 500). The intent of an index mutual fund is to provide specific market exposure, low operating expenses, and low portfolio turnover. An ETF is a security that tracks an index, a commodity, or a basket of assets. It is similar to an index fund but trades like a stock on an exchange. ETFs experience price changes throughout the day as they are bought and sold. An ETF provides the diversification of an index fund. Most portfolios include at least some cash. Cash can be invested in the very short term using financial instruments with high liquidity and very short maturities. The money market is used as a means for borrowing and lending over several days or up to one year. Money market securities consist of negotiable certificates of deposit (CDs), bankers acceptances, U.S. Treasury bills, commercial paper, municipal notes, federal funds and repurchase agreements (repos). Investors may also consider CDs as a safe place to park money in the short term. Money markets and other cash investments are typically seen as relatively safe and highly liquid investment alternatives, although risks still exist including the risk of default. Strategies to keep your investment earnings working for you. Depending on your preferences, needs, and portfolio size, we may recommend individual stocks and bonds, mutual funds, exchange-traded funds (ETFs) or some combination when implementing your investment strategy. No matter which investment vehicles we suggest, our objective remains the same - to provide you with the best possible risk-adjusted returns after taxes and costs are considered. While final portfolio decisions are tailored to meet each client’s specific needs and preferences, all investment decisions are filtered through our Investment Committee. This committee is comprised of highly experienced professionals with diverse backgrounds in stock selection, economics, portfolio risk management, accounting and asset allocation. Our investment committee includes multiple CFAs, CPAs, MBAs and CFPs. Our team performs the proper investment research to determine which investments are right for you. Once your investment objectives are defined and we have determined the risk profile that is right for you, your portfolio manager creates a portfolio of individual securities, mutual funds or a combination. 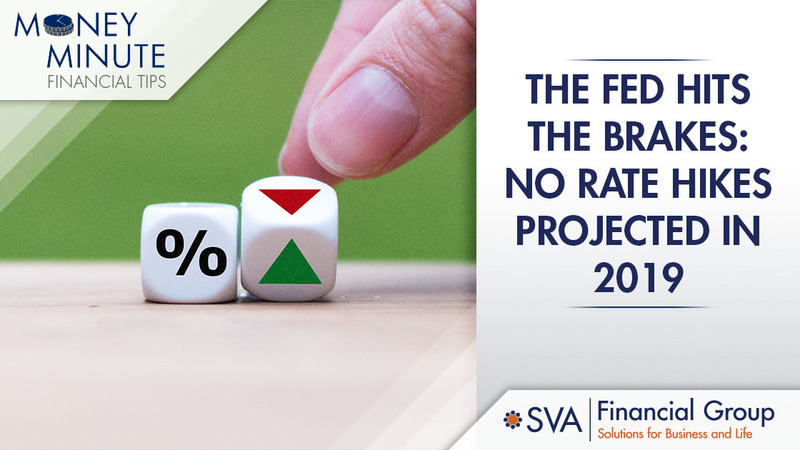 All investment vehicles selected by SVA Financial Group are thoroughly researched to ensure our investment team knows the risks and potential rewards associated with them. Because our clients depend on us to select quality investments fitting their objectives, it is essential each investment is screened and studied by our investment research team. 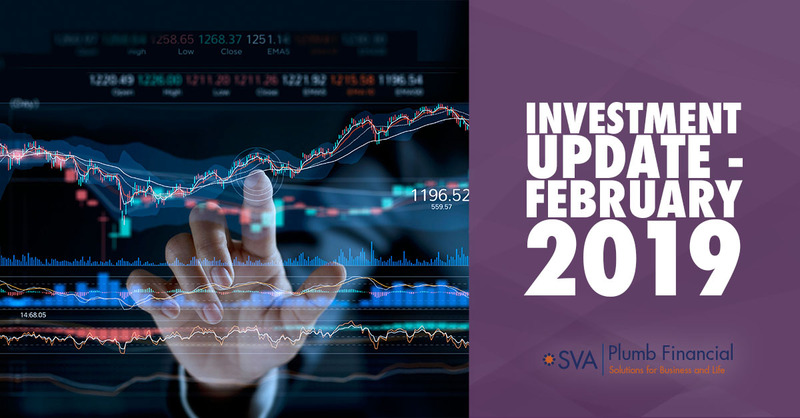 SVA Financial Group's team of analysts conducts proprietary research using a thorough, independent, hands-on approach. The goal is to find companies we believe are likely to perform well under current economic conditions as well as over complete business cycles. We study individual securities through a historical context as well as a forward-looking approach, looking for quality companies we can purchase at a reasonable price. We are constantly striving to advance our fundamental research. Over the last several years, our deeper investigation of the business balance sheet has paid off. Additionally, we continue to focus on how companies are funded, as we have observed the dangers of leverage in recent years. Many different mutual funds may fit the allocation models we design so we use an extensive screening process to narrow the field and choose the appropriate funds for the portfolios. Our Investment Management Team evaluates the quality of the various alternatives. The team's recommendations are reviewed by our Investment Advisory Committee, which in turn makes the final security selections. The management process does not end with fund selections. We have an ongoing due diligence process of reviewing the selected mutual funds. We work to verify that each fund continues to meet the selection criteria that led us to initially choose that mutual fund for the portfolio. We also continue to monitor additional funds to identify new alternatives which might better achieve our goals. I need help setting up a retirement plan for my business. Custom tailored financial solutions just for you!